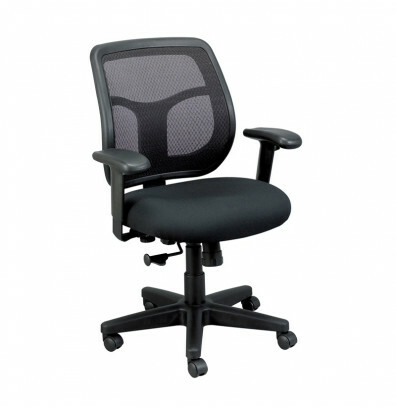 Eurotech Apollo MT9400 mid-back office task chair features a mesh back and fabric molded foam waterfall seat and adjustable backrest for added comfort and control. Available in multiple colors. 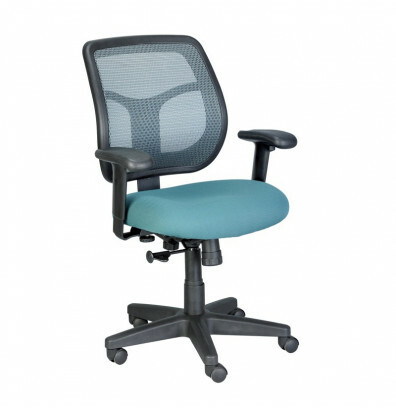 Eurotech Apollo MT9400 mid-back office task chair offers a synchro-tilt and height adjustable backrest combined with width and height adjustable arms for comfort and control. The traditional design with a modern twist fits any workplace. Chair is upholstered with a breathable mesh-back and fabric waterfall seat. Rolls smoothly on hooded casters while being supported by a strong five-star base. Eurotech Apollo task chair features a synchro-tilt mechanism with tilt lock that allows the back to recline to a preset ratio to seat. Waterfall cushion slopes to reduce pressure on the back of the knees. 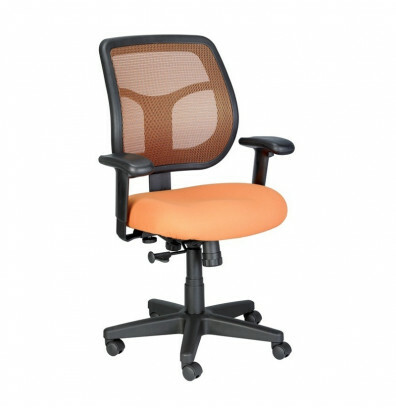 Back depth is adjustable giving the user maximum support. Chair arms can be adjusted up, down, left, or right for proper ergonomic positioning while seated. 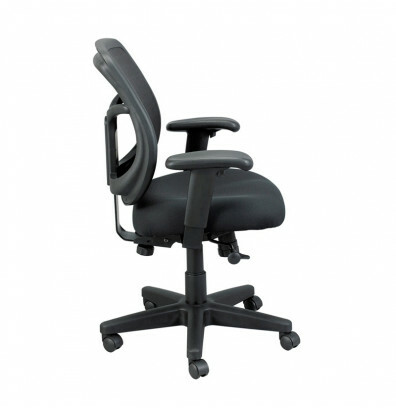 Adjustable tilt tension with lock for greater stability and back support while you recline. Pneumatic gas lift raises or lowers the seat to allow feet to rest flat on the floor. 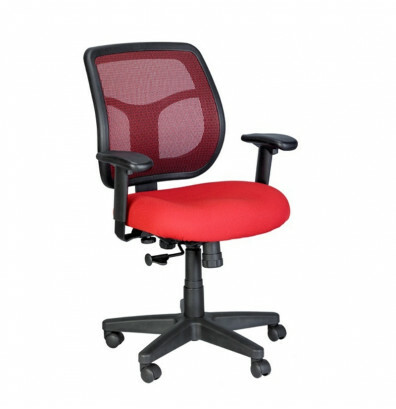 This task chair is available in Black, Blue, Green, Orange, and Red. Adjust back height for lumbar support. Adjust the width of forearm supports. Supports users up to 250 lbs. The chair is comfortable, adjustable, and if just fine for light home use.